Could be a great cash flow property, but also well suited for an extensive renovation. MLS#3497294. Austin Banks Real Estate Company LLC. Southpark - Front circular driveway and gated rear driveway. No HOA's MLS#3496740. Fam Lee Realty LLC. Wiltshire Manor - Minutes to Downtown Charlotte, Lake Wylie, Fort Mill. MLS#3496816. K.M.D. Realty Inc..
Woodstone - Don't miss this great deal! MLS#3498598. S M Holman Realty. 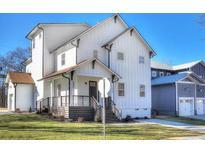 Close to Whitewater Center, Uptown, Shopping, Convenient to Airport, 485, & I-85. MLS#3498082. Century 21 Murphy & Rudolph. Priced to sell and will NOT last long! Schedule an appointment today. MLS#3474994. Titan Realty, Inc..
Cotswold - Other additions include a oversized 2-car garage with finished space above, circular paver driveway, double rear porches, extensive millwork throughout, 2 laundry rooms, & main floor guest suite with private entrance. MLS#3498532. Peters & Associates. Jefferson Park - This location and private setting is a unbelievable find! ! MLS#3497910. ProStead Realty. Septic permit allows for 3 bedrooms but you get 5 to choose from! MLS#3498140. Knock Homes. Foxcroft East - Walk to Foxcroft Swim Club, Sharon Elementary and Southpark. MLS#3497503. Phoenix Realty Of The Carolinas. This property is in a prime location in a dead end street facing Midwood Park, walkable to the shops and restaurants on Central Ave. MLS#3482779. Keller Williams South Park. Come enjoy this immaculate home and enjoy easy maintenance with home warranty included. MLS#3498540. Southern Home Group LLC. Don't miss this stunning home. MLS#3498544. Berkshire Hathaway HomeServices Carolinas Realty. Asking For Highest And Best By 5 Pm Wed 4/24 MLS#3498382. Allen Tate University. Magnolia Acres - Close access to I-85, short 15 min drive to the heart of uptown, and just minutes to Charlotte-Douglas International Airport. MLS#3498502. The Crowned Realty Group. The Crossings - Community amenities include a pool, walking trails & playground. MLS#3492477. Keller Williams Fort Mill.